A tour on the eve of his new mixtape on Kompakt. This month marks the release of a new mixtape on Kompakt, a release from a familiar face whom has been associated with the Cologne based imprint for many a year. Geiger is set to return as 'Fahrland' as he prepares to release a new album which sees him weave between cuts of sound channeled across what has been a long and winding career in music and electronics. This will be Alexander's first musical output in some eight long years and sees him set sail upon a new age of his career. "Psssst, good morning, did you hear that?" "Ah, you mean the rooster?" "Sure I did. But did YOU see that??!!" "Pssst quiet, over there, behind the trees. There is a wild boar." "You are right, it's a bambi." Forty miles south of pregnant hill (commonly known as Prenzlauer Berg, the tremendous amount of buggyies and mummies just gave it it's nickname) one of berlins most vibrant districts, where literally everything is everywhere, you will find an old former German democratic republic village. FAHRLAND. The Antithese to Berlin. No coffee shops, no bars, no restaurants, no shopping, no clubbing, literally nothing but an astonishing countryside. Surrounded by lakes and the woods of kings forest, it's a nature lovers dream come true. Running, biking, kiting, horse riding, swimming and bird watching in the summer time. 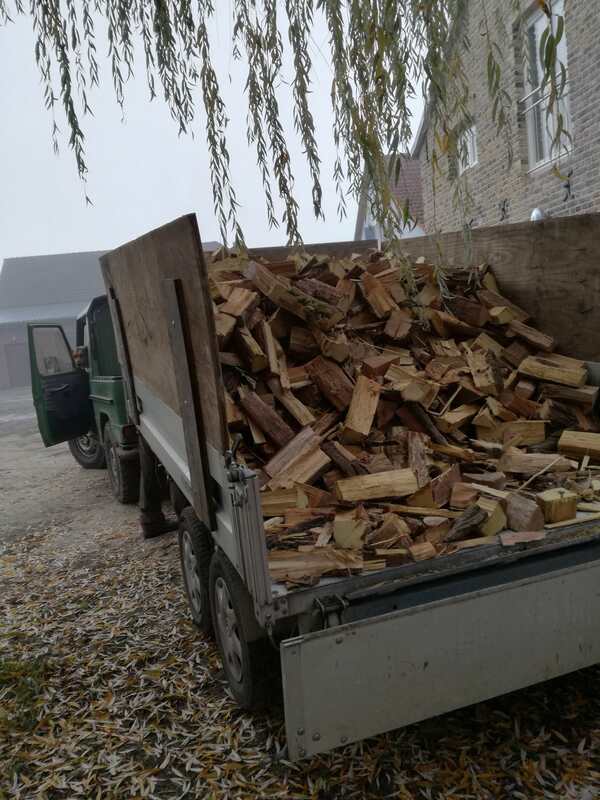 Ice skating, ice fishing and wood chopping in the cold days of wintertime with it''s Siberian breeze. Animal Wildlife: Look, feel, smell and take a ride. Horses, well, there are many. Apparently in this this part of Brandenburg, which is one of the biggest federal lands in Germany and mostly known for it's lakes, cucumbers and aspargus (very tasty), they were once famous for horse stables and horse breeding. Unfortunately, the best horses were mostly sold to the west for cash. In the same manner as political refugees were sold for many hundreds of thousands of Deutsch Mark to West Germany in times of cold war. 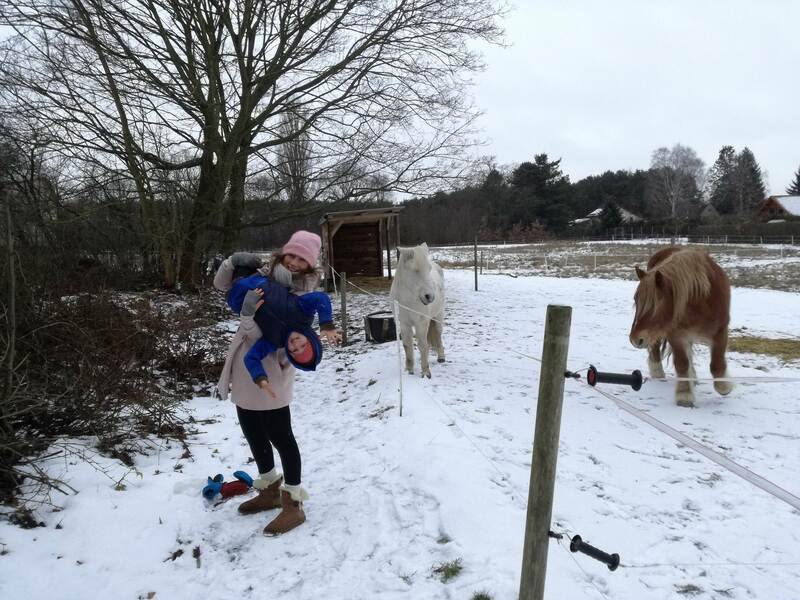 Elisabeth, a trainer in the art of horsemanship, takes you on trails through the countryside, alongside the woods and lakes, apple trees and open fields. Always good for a laugh, but serious about her mission. Animals are no piece of sports equipment! 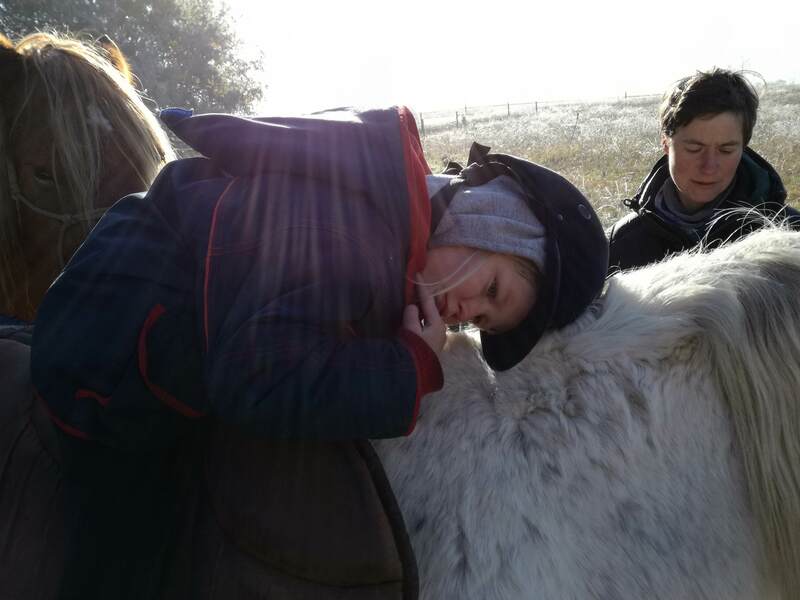 She will teach you the ropes of horsemanship in the most honest and natural way. Thank you Elisabeth. If you are into birdwatching Brandenburg is the place to be. On my evening runs at Sacrower See there is much to dicsover: Buzzards, Owls, Falcons, Eagles and Storks. Since you are in the woods, keep a look out for deer and wild boar as they are everywhere. I am a huge fan of swimming as well as ice skating. Dipping into the soft waters of Sacrower See, probably the most clean lake around here or sleding over miles of frozen lake at Fahrländer See is extremly liberating. Nothing but the sound of water, wind or the feel of speed. The Fahrländer See is also Brandenburgs most famous kiting spot. There is a quiet, tight wind. 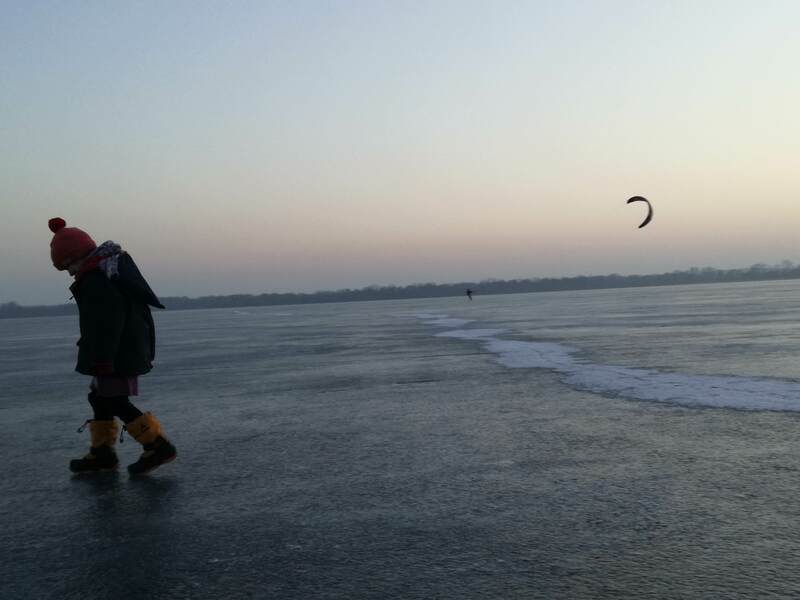 You see kiters on the water in summer as well as on ice in winter. Of course you should not forget to visit the nearby palace Sansoucci in Potsdam, of UNESCO world heritage. Also called little Versaille, because of its decadence and beauty. It was built and rebuilt throughout the 18th and 19th century by Fridrich the Great, he also goes by the name old Fritz. It is worth mentioning that in the new palais of the Sansoucci ensemble is the grotto. It is 600 square meters, entirely built of mussels, minerals and glass. The flooring itself weighs an astonishing 600 tons. Another sweet and nice picnic hideaway is the Heilandskirche in Sacrow. The chapel is partly coverd in tiles where people over hundreds of centuries have eternalized their visits by engraving the names of themselves and loved ones. Maybe there is a free spot left. Look carefully!